The brothers of Alpha Phi Alpha at Florida State University can’t be beat when it comes to displaying their Christmas cheer. Brothers who have crossed through the Iota Delta Chapter of Alpha Phi Alpha teamed up to perform a rendition of the Christmas classic “The Christmas Song” and they blew our team at Watch The Yard away! 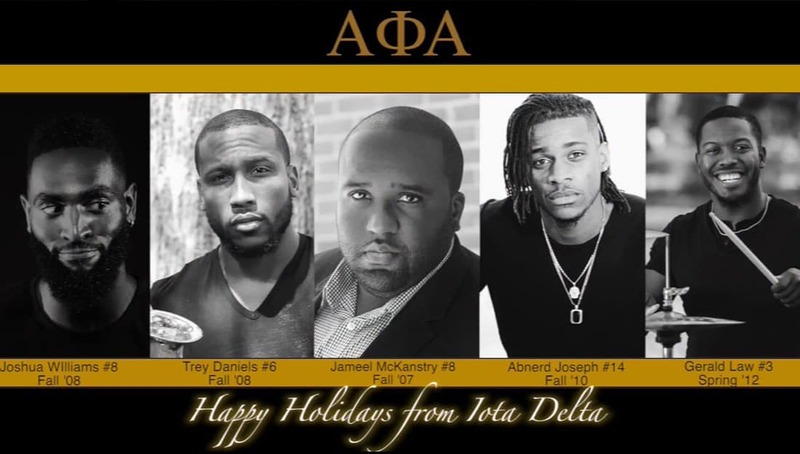 Watch below as Abnerd Joseph (Fall 2010), Jameel McKanstry (Fall 2007) and Joshua “Showtime” Williams (Fall 2008) cover the vocals while Gerald Law (Spring 2012) holds it down on the drums and Trey Daniels (Fall 2008) blesses us with his saxophone. This video is about to make your day!